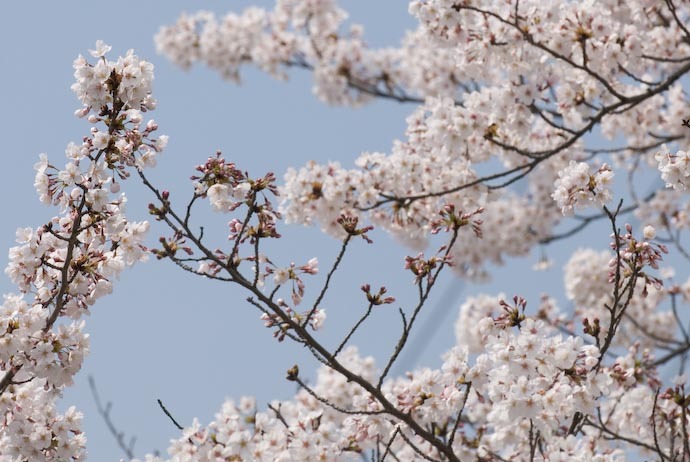 My blog has been filled with nothing but cherry blossoms for the past week or so, because for the last week or so most cherry trees around here have been hitting their blossom peak. 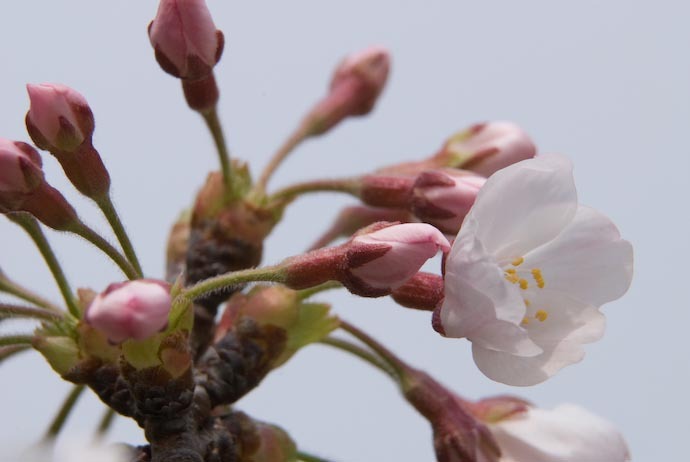 The timing of blooming, though, is certainly not coordinated among Japan's cherry trees. According to Julia's Kitakami Photoblog, the blossoms aren't even close to making their appearance there. 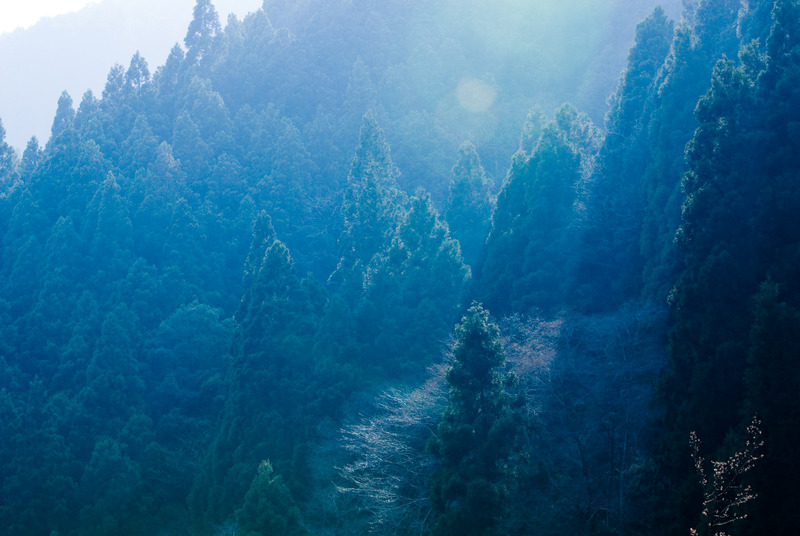 Kitakami is a town about 415 miles north-east of Kyoto, and can be quite a bit colder than here. Going a further six miles into the mountains (not far from Kyoto's Road to Nowhere), we came across a cherry tree with its own name (“100-Year Cherry Tree”), that had not the slightest hint of a blossom. It had huge buds that were still a good two weeks away from blooming. This is the same day, mind you, that we earlier enjoyed the Amazing Cherry Blossoms in North-East Kyoto back in the city. 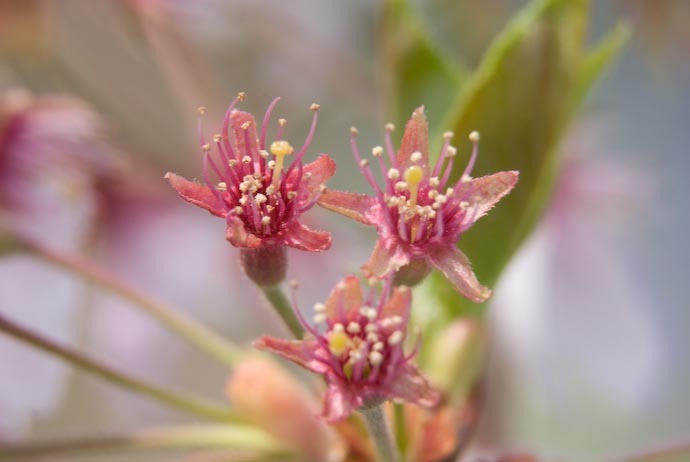 So anyway, I understand that the discrepancy in when blossoms bloom can be explained by location, climate, sun, species, but at times it also seems to vary wildly across different branches of the same tree. The next shot is from the aforementioned “Amazing Cherry Blossoms” trip, showing one branch that's mostly unbloomed among many fully-engulfed branches. Maybe it has to do with how water is distributed within the tree? This can be seen quite often. As always, I thoroughly enjoy your posts. I agree with Fumie, that kanji for “cherry tree” is probably just a charming calligraphic corruption by someone having fun. 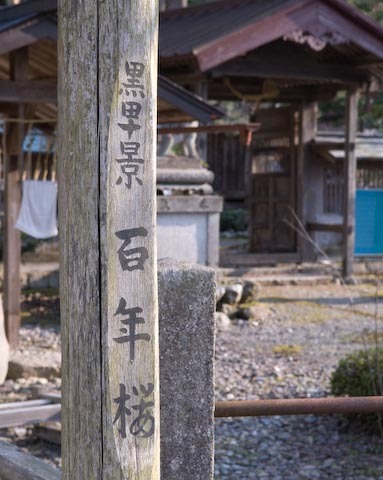 The entire kanji compound on that wooden post is rather interesting. The three-character compound at the end, 百年櫻（ひゃくねんさくら）, looks like one of the ten scenic spots. Apparently, this tree was planted in Meiji 6 (1873) after a typhoon had uprooted a venerable old giant of a cherry tree at the same spot. Initially, local folk thought they had planted a double-blossomed cherry tree (八重桜->やえざくら). 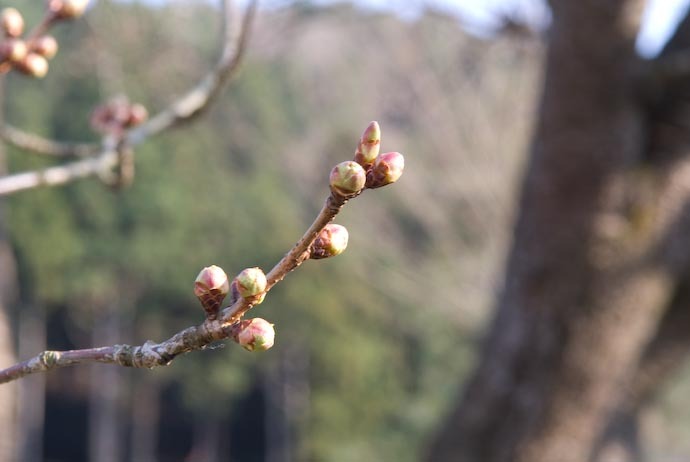 After a few years, though, everyone was amazed to see the tree budding both single and double blossoms. 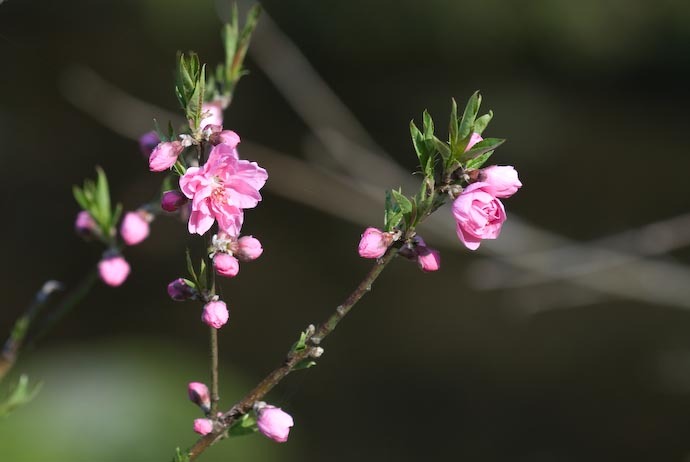 In 1967 this rare tree was named “Kuroda Centennial Cherry Tree” (黒田百年櫻) in celebration of the hundredth anniversary since the founding of the Meiji Era. Back to the corrupted kanji for cherry tree. I looked, without success, for this character in Daijigen (大字源) by Kadokawa, which has 12,300 characters, and Konjaku Mojikyo (今昔文字鏡) by Mojikyo Institute, which has over 100,000 characters. The “あ” on the bottom right of the corrupted kanji is, of course, the first character in the hiragana syllabary. It is derived from the character 安（あん), composed of an upper part that means roof and a bottom part that means woman: A woman relaxes at home. The “嬰” that forms the right side of the classic kanji for cherry tree (櫻) means “baby girl.” It is composed of two shells (貝) on top and and woman (女) below: A young girl wears a necklace. The writing looks too beautiful to be a mistake. There must be some method to this merriment. Andy is really a kanji expert. Interesting!